Häagen-Dazs Japan has been tantalising frozen dessert lovers over the years with exclusive flavors like Chestnut and Adzuki Red Bean, Salty Vanilla and Caramel and even a couple of vegetable varieties. Now they’ve discovered a brand new way to get everyone’s attention, and this time it’s all about looks, with the shape of the ice cream in the tub taking center stage and different names given to the special markings, which are all centered around the love-heart concept. ▼ The new campaign is called “Häagen Heart Hunting”. The idea for the fun new marketing plan came about after the company’s creative team tested 1,000 mini ice cream tubs to find what types of shapes naturally appear on the surface after opening the lid. After discovering the shape of a perfect heart in 2 of the 1,000 tubs, it was decided that the other designs could be seen as variations of the love-heart pattern, giving birth to a series of eleven “heart” shapes. ▼ The most coveted marking is the “Clear Heart”, which was found in only two of the 1,000 tubs. ▼ Also found in only two of the tubs tested was the “Kiss Heart”, which looks like a set of lips, and is said to bring the promise of romance to anyone who finds it. ▼ Another unique pattern, found in 2.1 percent of samples, is the “Goodbye Heart”, which is divided in the middle, suggesting it’s time to say goodbye and step forward anew. ▼ At 3.6 percent is the “Baby Heart”, which includes a small crater companion, and is said to bring happiness and new encounters. ▼ A more common shape is the “Incipient Heart” (7.7 percent), which is just on the verge of taking on a heart-shaped form, like love about to blossom. ▼ The “Tears Heart” (10.4 percent) features a central tear, suggesting something will move your heart in the near future. ▼ The “Cheating Heart” (11.1 percent) is bulging out on one side, which can be taken to mean that something may happen to disturb you a little bit. 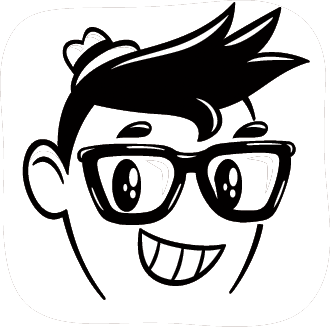 ▼ And the most common of all, at 26.5 percent, is the “Smile Heart”, which suggests something lovely will happen to make you smile unexpectedly. ▼ Out of all the hearts in the collection, there are two super rare varieties: the “Positive Heart” which is raised on the surface and has the promise of positivity. It’s said to appear in only 0.1 percent of tubs. ▼ And the “Perfect Heart”, which is said to make rare, phantom-like appearances, as the most rarefied and beautiful version of the “Clear Heart”. Those who come across a beauty like this are believed to receive incredible happiness. So, does that make this product a yogurt-like ice cream or an ice cream-like yogurt? Well, whichever it is, honey and milk has to be a winning combination, right? The Honey and Milk ice cream will come in a 110 milliliter (3.7 ounce) cup at a price of 294 yen (US$2.59). And now – although we’re imagining makers Häagen-Dazs is hoping that more than just the sickly few will appreciate it – there’s a brand new flavor that sounds perfect for those feeling a little under the weather: Lemon Ginger Float. The folks at Häagen-Dazs Japan clearly know they’re onto a good thing with their special-edition ice creams, and there seems to be no stopping their creativity. With Japonais, Rose and Sakura, and even Vegetable flavors all appearing within the last six months alone, there’s seemingly always something sweet on the horizon. And now, before summer has even had a chance to break in its beach sandals, the ice cream giant has unveiled three decidedly autumnal flavors. They may be arriving little early in the year, but it’s hard to make fun of a company that keeps on delivering in the taste department, and we have to admit that Häagen-Dazs new offerings do sound rather appealing. From August 8, ice cream fans will be able to pick up a mini cup of new Waguri (Japanese Chestnut) ice cream, along with a deliciously mauve Sweet Potato Crispy Sandwich. A month later on September 8, the limited-edition Pumpkin ice cream will go on sale. All three have a suggested retail price of 263 yen (US$2.59) excluding tax, which seems about right for products carrying Häagen-Dazs’s exotic European (although ultimately made up) name. Rest assured we’ll give these a good ol’ nibble when they become available and let you know if they’re safe for consumption! 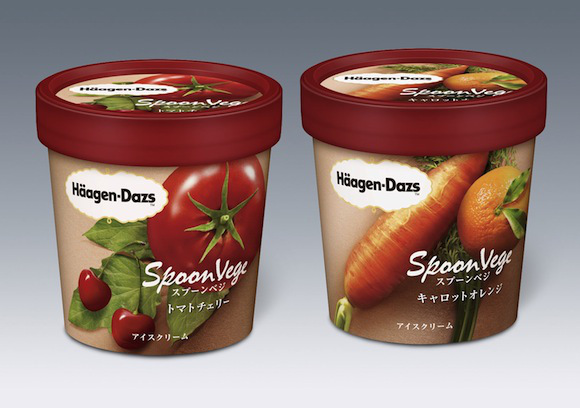 After a releasing hints through its Facebook page, Haagen-Dazs Japan has announced the launch of their SpoonVege “Tomato Cherry” and “Carrot Orange” ice cream flavors. The flavors will be released in Japan on May 12th, 2014 in 110 milliliter cartons. As part of the campaign, the Japanese wing of the US-based ice cream will be giving away 100 cartons of the flavors via its Facebook page. The full list of ingredients for both flavors can be found on the official press release.